If you’re a fan of Formula 1 racing, the F1 Store is a website that you will want to consider visiting as they have a vast inventory of merchandise and collectibles from your favorite racers. You’ll be able to shop by team, take a look at their teamwear, visit the leisurewear page, and even buy model cars that you can build on your own. If there are any sales available they’ll be advertised on the front page of the website, such as getting free shipping with a minimum order. You can also visit the “Clearance” page to get price reductions on items that they have for sale. 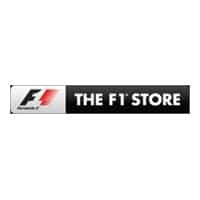 For most up to date offers check out The F1 Store on Facebook and Twitter or contact The F1 Store Support for any questions.